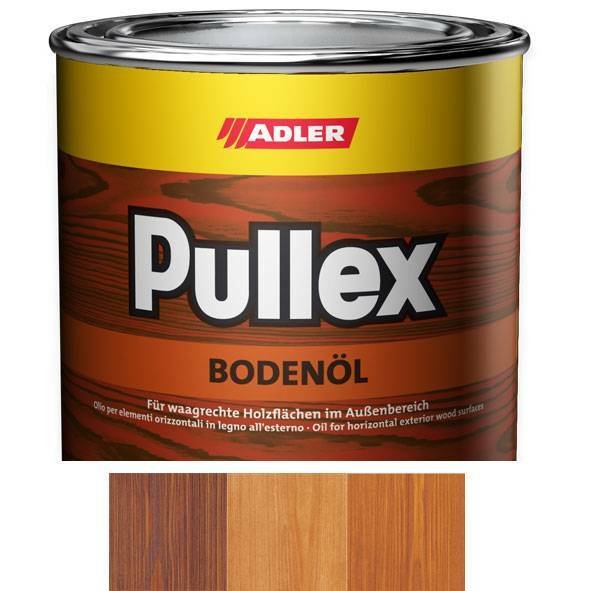 Water-repellent and highly penetrating oil for horizontal wooden surfaces in outdoor areas (open-porous). It protects hardwoods and softwoods from impurities and moisture. It allows the wood to breathe and reduces swelling and shrinking. Special micronised pigments ensure excellent resistance to weathering and UV as well as outstanding colour shade stabilisation of exotic types of wood. Easy to handle and process without laps. Without addition of aromatic solvents. The coating is protected against blue stain and mold by a biocidal active substance. Active substance: 0.3% (0.3 g / 100 g) IPBC (3-iodpropinyl butylcarbamate). It allows the wood to breathe and reduces swelling and shrinking. For horizontal wooden surfaces that are not dimensionally stable used outdoors such as balcony floors, landing stages, terraces, etc. Particularly suitable for types of wood such as larch and exotic types of wood such as Bangkirai, Teak and Massaranduba.